Super heroes have been a pop culture staple since the 1930's, when children across the country gathered around the family radio to listen to Flash Gordon serials. From Superman to Spiderman to the Incredible Hulk, there's something about the normal-by-day, powerful crime-fighter-by-night that captures our imaginations. I think superhero folklore resonates with us because it provides a picture of what God made us to be: a band of supernaturally-gifted everymen (and women), united on a mission (cape and mask optional). 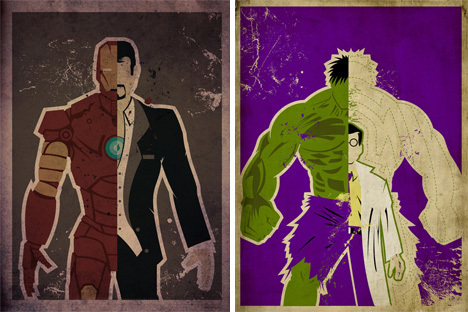 Every superhero has his flaw. Kryptonite saps Superman of his strength. The Incredible Hulk has anger management issues. Iron Man suffers from a heart condition and a bad goatee. Their weaknesses make superheroes relatable. Likewise, we are flawed people. Our pride, doubt, and ignorance keep us from being the ideal representatives of God who sends us. The Bible says that our weakness serves to show God's strength. It also reminds us that the difference between us and those who do not believe isn't our ability, but Christ's. Every superhero has superpowers. (In nerddom, this is a highly controversial statement!) Superpowers tend to come in one of four ways: 1. Bestowed from an outside source- Superman's come from being from an alien planet, 2. Born this way- The X-Men are mutants who were born with their powers, 3. Transformative experience- the scientist who tests the experimental serum on himself, the astronauts who are accidentally exposed to gamma radiation, the kid who gets bit by a spider– these experiences change the hero from normal to super, 4. Training- Batman, Green Arrow (who's basically the same guy as Batman), Hawkeye– these heroes train like crazy to develop the powers that make them super. Christians have been given superpower as well. In Acts 1:8, just before Jesus ascended into heaven, He promised that He would send His Spirit to give us power to be witnesses all over the globe. Early Christians exhibited the supernatural courage, insight, and faithfulness that accompany God's people on His mission. Who could forget the trauma of a young Bruce Wayne witnessing the tragic death of his loving parents? Not the readers of Batman comics, because old Bruce had a flashback in in every book! Every superhero (even those whose parent's WEREN'T murdered in front of them) has a backstory that plays a key part in his motivation as a good guy: the child he could have saved, but didn't. The scientific breakthrough, the discovery of some uncanny ability, the extreme loneliness of being different– these memories are what keep heroes going. Likewise, Christians have a story that motivates them. Our story has two parts: the part where God makes provision for humanity by sending His Son to die in our place, and who we used to be (or were going to be) before we knew Jesus. These are the stories that keep us going on God's mission in the world. 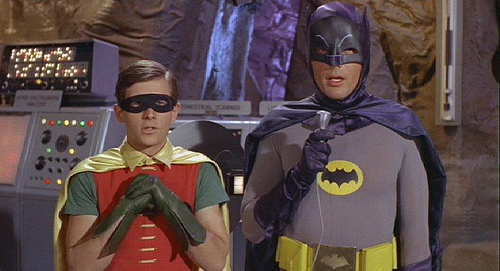 With few exceptions (and for profitable spinoff comics and television series,) A-Level superheroes have sidekicks. Usually, sidekicks simply exist to provide witty banter, just-in-time help, and a convenient excuse for the hero to explain all that he's doing and why. When God sent us, He didn't send us alone. Paul modeled this throughout his ministry his partners and sidekicks Barnabas, Silas, Timothy) extended and balanced his efforts. The church is God's organization for His people on mission. When we partner with other believers, we enjoy a diversity of gifts, perspectives, and personalities that compliment our own. In Christian community, others can experience a preview of what God's kingdom is like. It must be hard being a superhero. On the one hand, you have superhuman strength and can shoot laser beams from your eyes. On the other, you still have to sit through your niece's fourth-grade violin recital. God's people also live in two worlds: the temporary, physical world and the unseen spiritual one. On the one hand, we know that there is a cosmic battle going on, where God is working to redeem a kicking-and-screaming world back to Himself. On the other, we have to work, eat, and pay our utility bills. We live as citizens of God's kingdom which is already but not yet. We are people on a mission that many do not understand. We have two identities, and our struggle to live in both simultaneously is the greatest opportunity to be gospel people among the nations. "With great power," Peter Parker's Uncle Ben used to say, "comes great responsibility." Superheroes (for the most part) decide to use their powers for good instead of evil. They help those in danger, they fight for justice, they defend the peace. The missionary code has to do with God's power. We cannot sit back and simply enjoy the benefits of God's unending love and grace. We have been blessed to be a blessing to all people, and that responsibility shapes all that we do. Except for those who have been able to make a career of do-gooding, superheroes have day jobs. 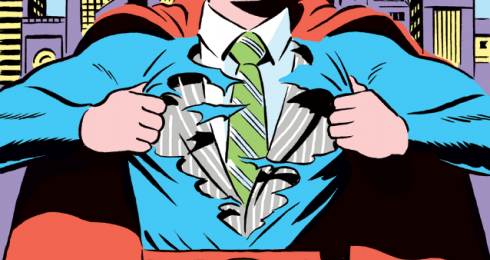 In their civilian lives, heroes tend to fall into one of two categories: working stiffs (Spider-Man, Superman, ) or billionaire playboys. Missionaries are like this, too. Some of us, like fully-funded career missionaries, are paid to be on mission. Others are left to self-fund or work a real job. The truth is, even if we had enough money to financially support all Christians to be on mission, we wouldn't want to. Our work is where we make real relational connections. The workplace is where we model the lives we claim to have in Christ. We need more missionaries with day jobs. Apparently, the plural of "nemesis" is "nemeses." Superheroes all have them: the one bad guy that they just can't shake. 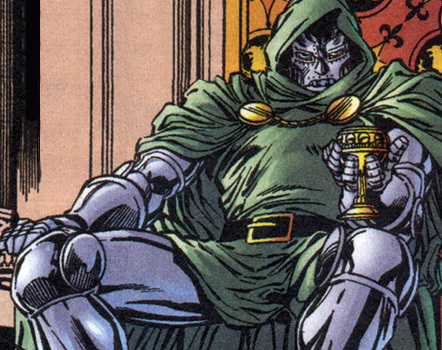 Batman's Joker, Spider-Man's Green Goblin, or the X-Men's Magneto– these are the villains (usually tied to the hero's origin) that haunt their careers. Christians also have arch-nemises. The Scriptures remind us that there is spiritual opposition to God's work. On mission, we that opposition often comes in the form of persecution. This is why personal holiness matters for God's sent people: the enemy exploits our weaknesses which undermine our message. As God's ambassadors on the earth, our work is never done this side of heaven. History has shown that people are fickle and unfaithful; just as the gospel can come to a people, so too, through disobedience and opposition, can they turn from it. Our mission isn't based on the spiritual status of the people groups of the world, it's rooted firmly in our identity as God's sent-ones. Like desperate graphic design students with pirated copies of Photoshop, superheroes make logos. Presumably, this is to aid the viewing public in differentiating between one grown man in tights from another, but another benefit? Hope for the suffering. Despite the best efforts of Christian retail, we don't exactly have a logo. But we have a presence, nonetheless. God showed humanity that He had not left them to live hopeless lives and die meaningless deaths by sending Jesus. He continues to demonstrate His presence among humanity by sending us to be his representatives among the nations. When God's people are present, the nations should know that though there is unspeakable evil in this world, God has not forgotten them.